Caceres edition is a GREAT job! 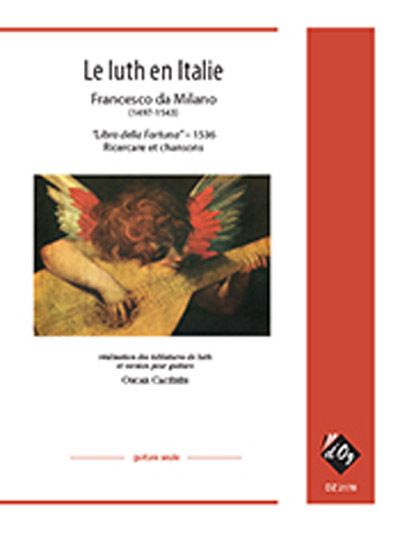 I was looking for some guitar transcriptions of Francesco da Milano's lute music transcribed for guitar, and I came across Oscar Caceres' edition of da Milano's selections from Libro dell Fortuna (which I actually own a facsimile copy). I was a bit disappointed that the 1st Ricercare was not included in this transcription. However, Caceres' set of transcriptions are a great addition to the classical repertoire if you are new to da Milano's music. He does a great job in realizing the tablature into traditional guitar notation, creating wonderful suspensions that renaissance music has. To simulate the "tuning" of the Italian renaissance lute, you can use a CAPO on the 3rd fret. I HIGHLY recommend this book.